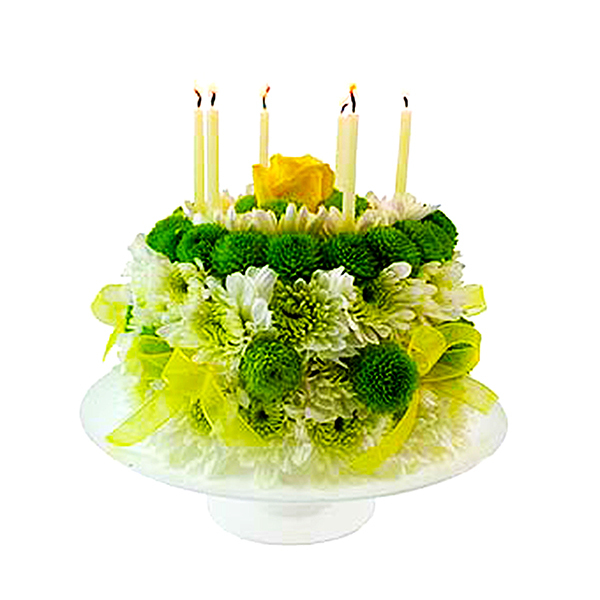 Celebrate a birthday this year by sending the Happiest Birthday Flower Cake! This unique cake is designed with the freshes seasonal flowers. The birthday girl or guy will be in awe of the uniqueness of your gift! Available for hand delivery to a home, school or business. The cake is decorated with candles and delivered with a card personalized card message. Call us to customize this cake with your favorite color. Measures approximately 8H x 10W x 10D.